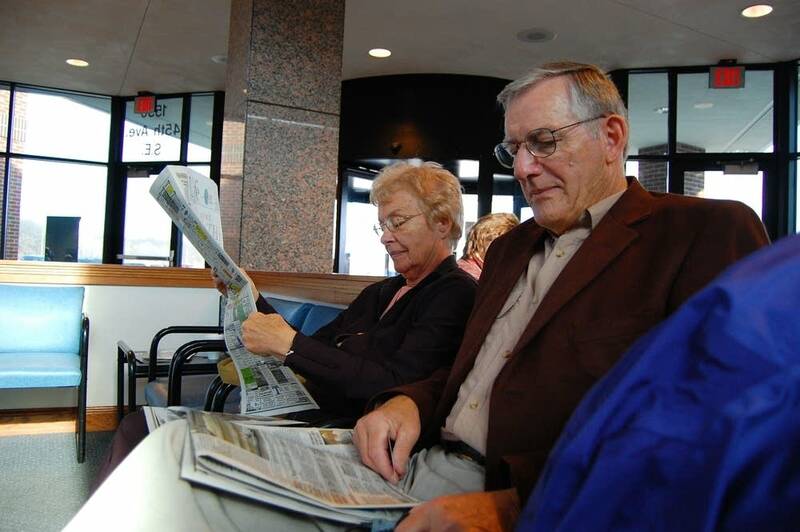 Dwight and Audrey Jaeger are sharing a morning newspaper and enjoying a little quiet time before their flight out of the St. Cloud Regional Airport. "Waiting for a flight to Minneapolis, and then we're going on to Portland, Oregon, and eventually to Eugene, Oregon," Jaeger said. The Jaeger's have several reasons why they prefer to fly the 80 miles from St. Cloud to Minneapolis. Dwight "It's cheaper to leave your car here of course," Audrey said. "It's more pleasant to go through security here too," Dwight said, "Once your through security here your done, you don't have to go through it again in Minneapolis, so that's nice." Currently there are four flights daily from St. Cloud to Minneapolis on Mesaba Airlines, also known as Northwest Airlink. The manager of the St. Cloud airport, Bill Towle, doesn't think the option of flying from St. Cloud to MSP will disappear once Delta takes over Northwest. Towle said it would make sense for Delta to continue those flights from St. Cloud, since the airline is keeping a hub in the Twin Cities. "Which means if they still want to capture people in Minneapolis, they're going to want to pull them from other outstate airports in Minnesota. So my thought is that they're going to keep whatever level of service we have," Towle said. Towle would like to see more daily flights added to Minneapolis in the future. 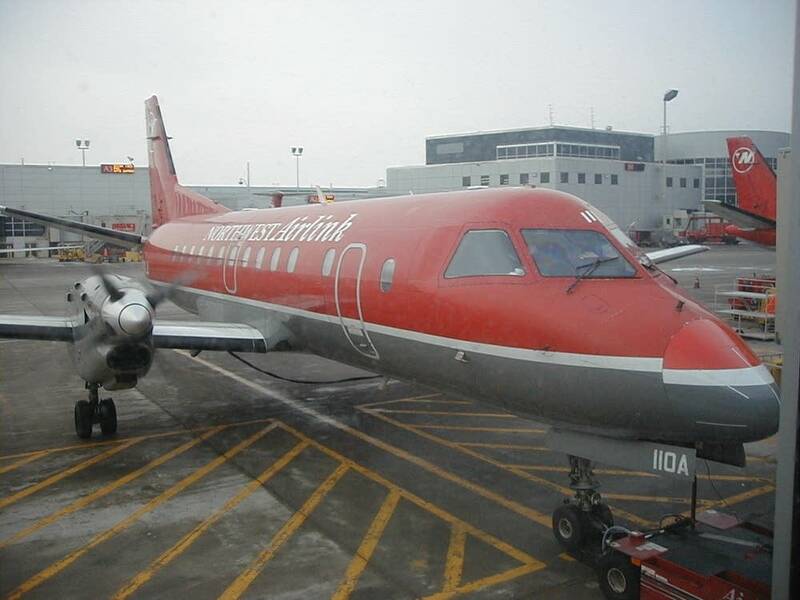 But his airport is also courting other regional airlines, in hopes of finding a carrier that will take passengers straight to Chicago or Denver. At Rochester International Airport, manager Steven Leqve said he's trying to look on the positive side of might the Delta deal will mean for his operation. "It does open up, over time, we'd like to think, some opportunities here where we would serve some other major hubs as well as Minneapolis, Detroit and Chicago," Leqve said. Currently Northwest flies seven planes a day to Minneapolis, and one plane a day to Detroit from Rochester. American Airlines' regional service American Eagle sends seven planes a day to Chicago. Leqve hopes Delta will start to take passengers from Rochester to cities like Atlanta, Cincinnati and Salt Lake City as well. But it's hard to find that enthusiasm at Minnesota's smaller airports. The manager of the Bemidji Regional Airport Harold Van Leeuwen is concerned that Delta's acquisition of Northwest may mean fewer flights to his airport. "I think we all have anxiety about it, because just by virtue of it being a larger merged airline, they're going to reallocate resources and hopefully we compete well and keep them, if not ... I think we're just nervous," Van Leeuwen said. 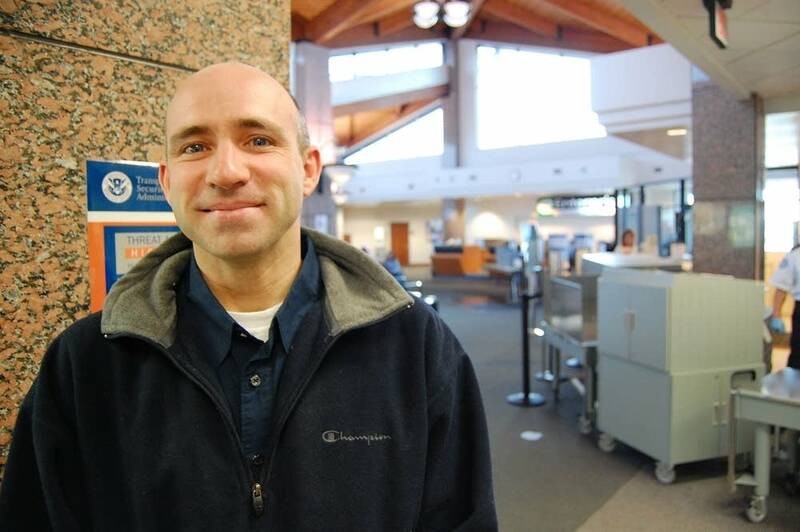 Van Leeuwen said the Bemidji airport is important to the area's economy. It's at least a four hour drive from the northern Minnesota city to the Twin Cities. He said having regular flights between Bemidji and Minneapolis has helped the city lure companies to town. "What made us competitive with a St. Cloud or Minneapolis is that fact that we provide access to air travel at a reliable and frequent rate," Van Leeuwen said. At this point airport managers admit they can only speculate how they might fair after Delta takes over Northwest. Michael Ferguson, assistant professor of aviation at St. 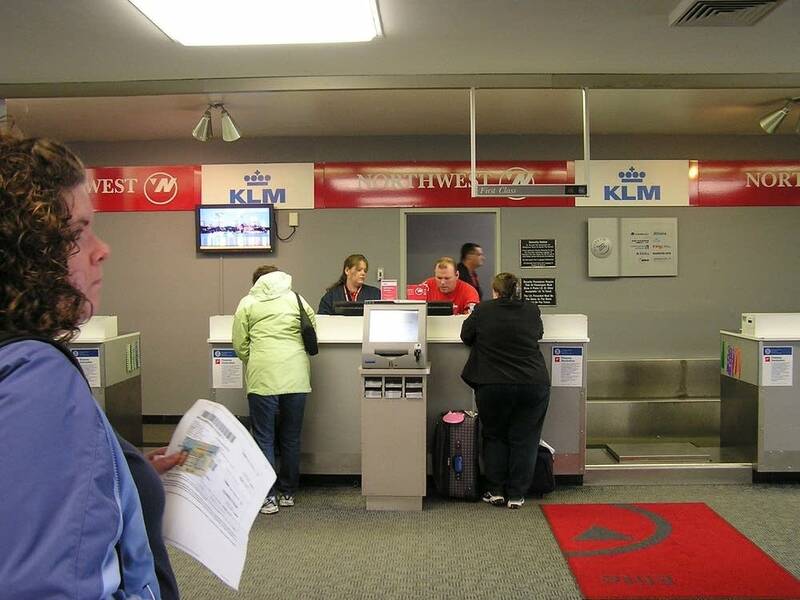 Cloud State University, said it will be many months before airport officials, and travelers, will know how or if the business deal will change their flying habits. "It'll probably depend what Delta will see fit to do with their route structure and to continue to serve those markets that they feel will be remain profitable or maximize their revenue in the long term, hard to say what that's going to mean though," Ferguson explained. Ferguson said if they haven't done it already, airport managers should start making connections with Delta, and start selling the company on the importance of Minnesota's smaller regional airports.